In this July. 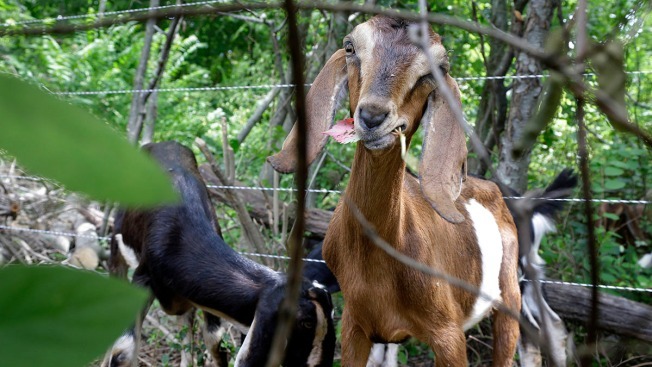 24, 2013, file photo, a Nubian goat chomps on weeds. Lincoln, a Nubian goat (not pictured), was recently elected "Pet Mayor" on town meeting day. The new honorary mayor of Fair Haven, Vermont — a 3-year-old goat named Lincoln — was officially sworn into office this week. Lincoln was dressed in a sash reading "Mayor" for the Tuesday ceremony at the Fair Haven town offices. Town Clerk Suzanne Dechame and the select board were present to deliver the oath of office. Town Manager Joseph Gunter says the honorary pet mayor idea was conceived as a fundraiser for a playground, but it turned into a civics lesson for kids. 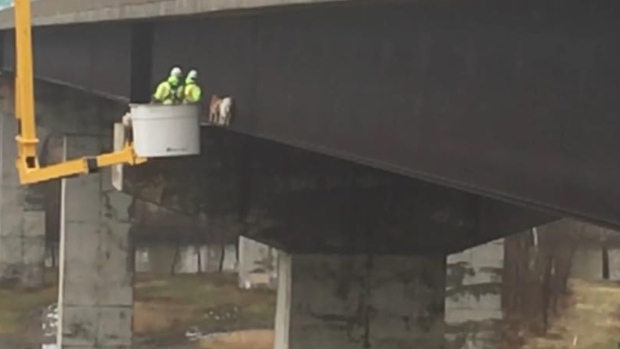 Two goats wandered from a nearby farm onto the Mahoning River Bridge in North Beaver Township, Pennsylvania. State workers used a crane to rescue the goats. On the way out of the offices, the honorary mayor defecated on the floor — leaving clean-up to the police chief and other attendees.